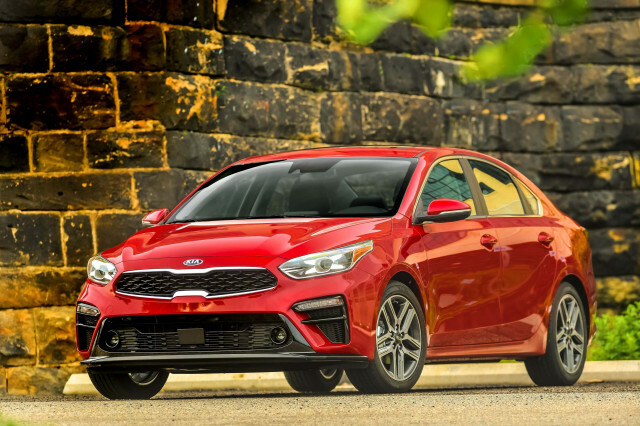 They may not look like siblings at first glance, but the 2019 Kia Forte and 2019 Hyundai Elantra have a shared lineage that makes these two compact sedans easy to compare. In our ratings, it’s nearly a draw between these two compact sedans. The Forte ekes out a win in our ratings, with a host of caveats. 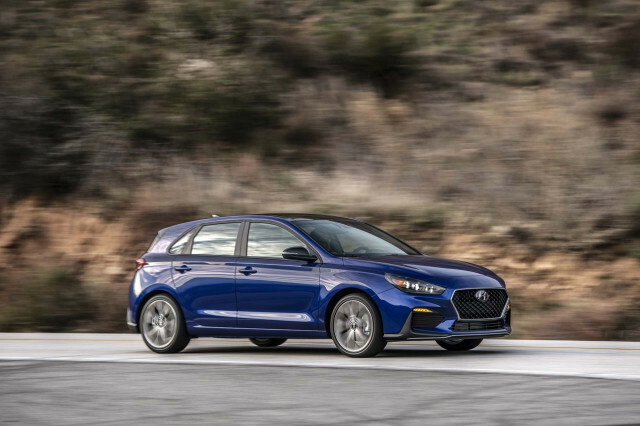 The 2019 Forte and 2019 Elantra share an engine, a chassis, and a standard 6-speed manual transmission. They have unrelated styling and, more importantly, their automatic transmissions are different, too. The Elantra is available in a hatchback version called Elantra GT. Underhood, most versions of the Elantra and Forte use a 2.0-liter inline-4 rated at 147 horsepower and 132 pound-feet of torque. The Elantra Eco features a 1.4-liter turbo-4 rated at 128 hp and the Elantra Sport can be had with a 201-hp 2.0-liter turbo-4. For the purpose of this comparison, however, we’ll stick with the far more common 147-hp engine. Base Fortes and Elantras come with a 6-speed manual transmission. 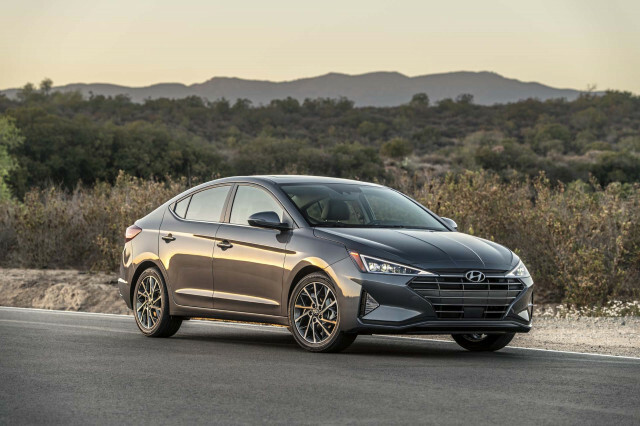 Most Elantras roll out of the factory with a 6-speed automatic transmission while the majority of Fortes are fitted with a continuously variable automatic transmission (CVT). The Elantra’s 6-speed automatic operates like a conventional transmission, with six gears selected automatically. The transmission mostly operates unobtrusively to balance performance and fuel economy well. In the Forte, the CVT has a theoretically infinite number of gear ratios to choose from. It may earn better fuel economy, but at the expense of more underhood clatter under hard acceleration than in the Elantra. It’s worth test-driving the two compact sedans back to back with the radio off to see if the Forte’s loud engine is a fair trade for its better fuel economy. Most versions of the Forte are rated by the EPA at 34 mpg combined while the Elantra checks in at 32 or 33 mpg combined depending on the trim level. Both small cars have good, confidence-inspiring handling and a comfortable ride. Tires selected for low-rolling resistance mean that they’re not corner carvers in most trims. The Elantra Sport’s stickier rubber and retuned suspension give it better handling tenacity, however. 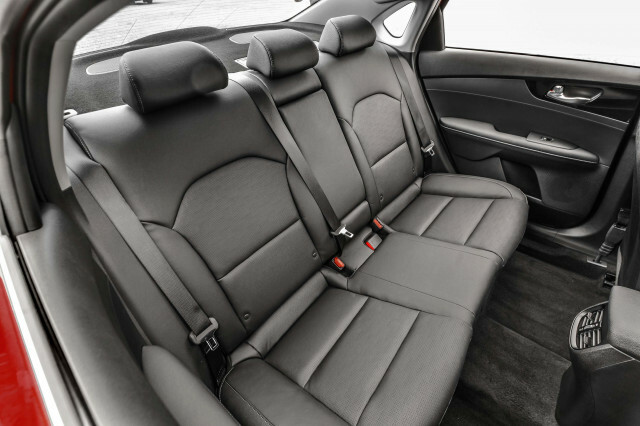 Given they are about the same inside and out, it’s no surprise that the Forte and Elantra are similarly comfortable for passengers in either the front or rear seats. They have good outward vision and imaginative designs. The Forte’s trunk can swallow 15.3 cubic feet of luggage, about a cubic foot more than the Elantra. At about $18,700 base Forte costs around $500 more than the least costly Elantra. 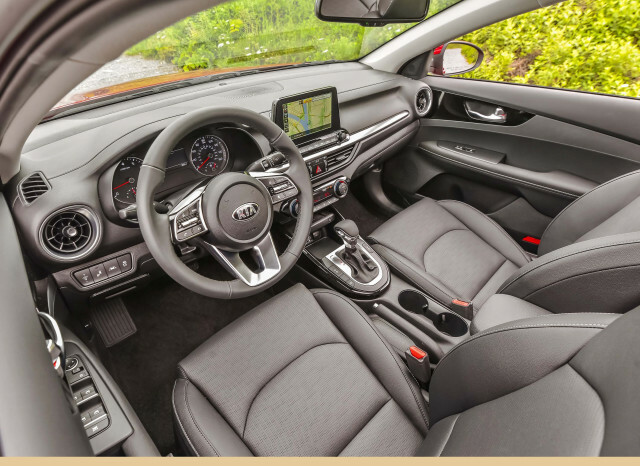 However, the base Elantra lacks Apple CarPlay and Android Auto compatibility and automatic emergency braking, features standard on all versions of the Forte. Most buyers are likely to step up to the Forte LXS with its alloy wheels and split-folding rear seat for about $20,200. The similar Elantra SEL costs about $150 more than the Forte LXS but mostly matches it in terms of features. We don’t have a full safety rating for the Forte yet because the NHTSA hasn’t crashed one. However, the IIHS said that the 2019 Forte rates a Top Safety Pick+ with the optional LED headlights. The standard headlights don’t provide the same illumination, however. Unlike the Forte, the base Elantra doesn’t come with collision-avoidance tech we consider essential. It’s standard on SEL and higher trims. Like the Forte, the Elantra forces buyers to pay extra for headlights good enough to earn a Top Safety Pick+ rating. The better LED headlights are standard on the Elantra Limited and unavailable on other trims. 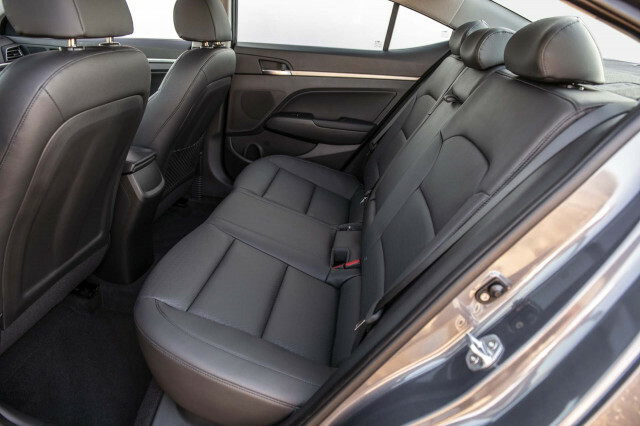 Disconcertingly, the Elantra earned just four stars overall on the federal government’s crash test due in part to unexpectedly high rear door panel intrusion during the side-impact test that could indicate a higher risk of thoracic injury. 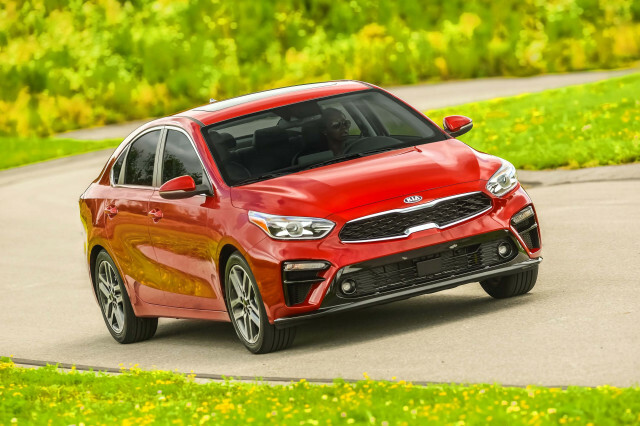 We have sent your request for price quotes on the 2019 Kia Forte and 2019 Hyundai Elantra to the dealers you requested. They should be in touch shortly. 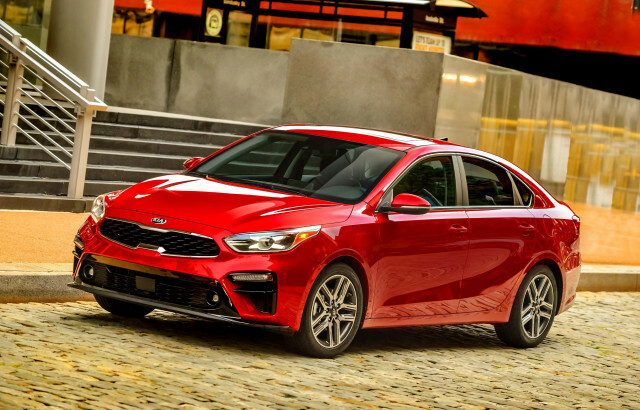 Your request for a fast, free price quote on a 2019 Kia Forte and 2019 Hyundai Elantra is in process. The CarsDirect Dealer(s) listed below will contact you shortly to discuss your request and to provide a quote.